How do I schedule a scan with the new version? You can customize any scan under Virus Scans "Custom scans" settings. This new version of Avast is preventing me from logging into an MMORPG. 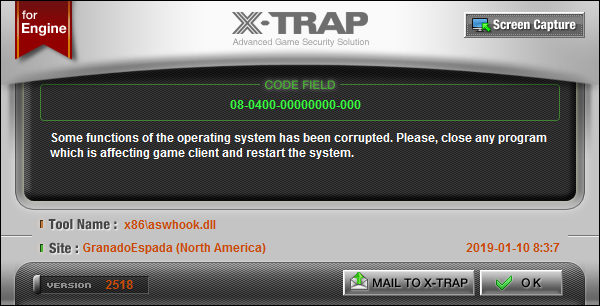 Because X-Trap thinks it's a corrupted operating system file. So I had to revert back to the last version to able to access the game. As a result of the new software update, loaded today, I am unable to launch the UI of Avast. When I click on Restart Service, a new screen pops up and is immediately replaced by the Restart Service screen. I have rebooted 5 times with the same result. Using a Surface Book with Windows 10 Pro, version 1803., 64-bit. Have another Win 10 desktop computer 64-bit which was able to successfully run Avast after install. Received the same error as above, but after rebooting 3 times it started correctly. After updating to this new version (Avast! Free), I can no longer find any controls to set the scheduled scan date/time for a full scan. The Settings link under the Full Virus Scan (from Protection->Virus Scans) contains nothing about scheduling. There is also a clock icon under the Full Virus Scan panel, but it only shows when the scan will run - no controls for setting/changing it. This clock icon is not clickable - the scheduled scan time only appears in a pop-up which is also not clickable. In previous versions, the scheduling controls were easily found and intuitive. Have these controls been hidden somewhere else or are they simply missing in this release? I think the scheduling settings have been missed and should have been part of the Settings menu tree. We work on a new scheduling, it will be live in approx 2 weeks. Needed a fresh AIS install to get it working fine. Is it correct that you can not change "network profiles" names anynore within the firewall settings (what stilll worked fine in the previous version Win10 and Win7 ? (would be a pitty). - When I disable all shields, then i want enable it (in tray icon) it say 6 shields disabled (rootkit shield and exploit shield are probably counted). - After enabling all shields (in tray icon) everything seems normal, except notification center says Rootkit and Exploit shield are disabled (still ticket in options). - In new settings under shields -> PUP detection -> I set Automatic clean but in old settings is PUP detection unticked. - New settings is absolutely awful. You can simplify settings, why not, but why in this dark background theme? Old settings has professional look and has much more things to set. Now we have 2x settings old and new. So if i unable set something i need use old (Clean test history for example). - There is no Save or Cancel button in settings. If I missclick somewhere, it will be saved and I will not be protected. Please let user confirm changes by hit Save button. - Old and new setting together. If you reworked settings, delete old. Seems like unfinished product. Hi i've installed the latest version - 19.1.2360 Avast Internet Security. And since the update the antispam is not loading in outlook. But the option is selected to green. How i can put the spam bar in Outlook. I really would thank's for help regarding this situation. My OS is Windows 10 and Office 10. Thank you in advance and Happy New Year. I'm happy you are now able to see the files which are being scanned when a full scan is in progress. This ensures that users will not think the scan is stuck anymore. The scans are set to generate a report file which will be located at C:/Program Files/Avast/Reports - there is no such location and running a scan doesn't create the path. If the Real Site component is not installed, it should not show up in Settings. I see no reason why the option to Schedule Scans have been changed. I know you can create a custom scan and then create a schedule but why change it when it was fine before? The Quick Scan is still able to be scheduled via Custom Scans and so should the others. There is no longer a voice when a threat has been detected. The sound is still there and I'm not sure if that has been done intentionally? It would be nice to see the Ransomware Shield to protect "txt" file extensions by default. Regarding the feedback about scheduling scans, please look at the beta, there is already a new screen for creating custom scan with schedule. Scheduling existing scan would work just for Full System Scan,that's the reason why we moved this option to custom scans.. Thank you for all the clarification MartinZ.